The shoemaking tradition in Kirchanschöring dates back to 1683, when Petrus Meindl worked as the first shoemaker of the Meindl family in Kirchanschöring. Lukas Meindl began independently shoemaking and started the company. Lukas bought a stitching machine and started the production of clothing. At this time only two shoemakers were working in the company. One of Lukas Meindl’s sons, Alfons Meindl, started working in the company. At this point 10 People worked for Meindl. Mr. Alfons Meindl visited a shoe fair in Munich for the first time, where he exhibited his handmade shoes. Hannes Meindl, Alfons Meindl’s brother started work in the company. Now he runs the clothing company. After the death of Lukas Meindl, Alfons and Hannes Meindl ran the company together. Meindl started working in neighbouring countries, as there were not enough qualified people in Kirchanschöring. The idea of product categories was introduced and the first Meindl Outdoor booklet was published. Meindl´s shoemakers won the German Footwear Championships. Hubert Hillmayer conquered Mt. Everest using Meindl-boots. Development of the first Meindl Multigriff-sole. This is still a key component in many Meindl shoes and boots. 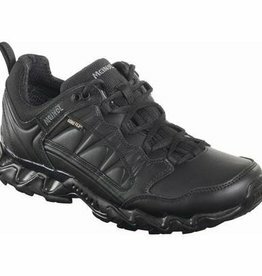 Meindl pioneered development of the trekking boot segment. Meindl was one of the first companies in Europe to work with Gore-Tex and also developed the Meindl Air-Active Technology. Contract agreed for cross-country skiing boots using Salomon for the SNS-System. Lukas Meindl joined his father’s company. Now the eleventh generation of Meindl shoemakers is working in Kirchanschöring. Construction of a recycling-system for old boots together with DGW, D-Hannover. Production of the first “Lightwalker” models. The new shoe production building in Kirchanschöring is completed. Lars Meindl joined the company. Alfons Meindl now runs the company with his two sons. Meindl “Island” model won the “European Outdoor” press award. Shoe and boot production reached 750,000 pairs a year. 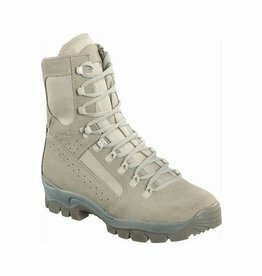 A new range of shoes was created called Multi Terrain Hiker. First issue of the Meindl magazine, “Movements” was published. The new SOFTLINE product group was introduced. Half a million pairs of Meindl’s most successful model, the Island Pro are sold in 10 years. The readers of the German “Outdoor” magazine voted the Meindl ISLAND the best trekking boot. 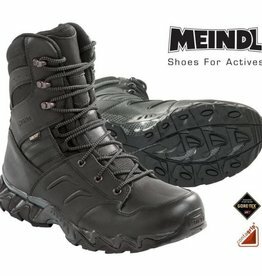 Meindl won three awards from British “Trail” magazine. 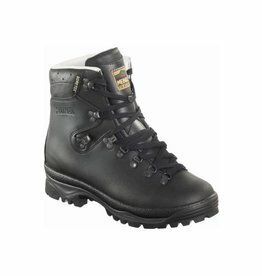 The first trekking boot with GORE-Skin technology was produced under the name ComfortDry. The Multi Terrain Hiking (MTH) group is very popular with consumers. The Perfekt model continues in production having hardly changed in twenty years. The MTH group was the forerunner to the current popular Magic range. New groups like Air Revolution and the Magic Line are launched. The group Air Revolution wins the ISPO Outdoor award. “European Outdoor Award” is also awarded to the AIR REVOLUTION. 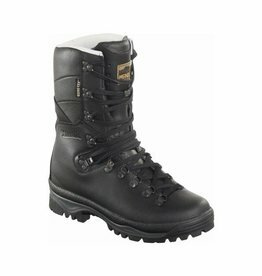 The readers of the German “Outdoor” magazine voted the Meindl ISLAND again their favourite boot. This year also saw the construction of the Relaxed Fit System together with Dr. Oliver Schröer. This was the forerunner to the current Comfort Fit System. A new production area was added in the facility in Kirchanschöring adding an extra 30 % capacity in the lasting and finishing department. The 750,000th pair of Island Pros were sold in this year. Meindl received more awards including Best Hiking and Mountaineering boots in Panorama magazine. A new warehouse was built raising the logistics capacity of Meindl in order to meet increasing demand. Development and presentation of the new line of MFS Vakuum and Light Hiker models. Magic line extended with new models. Gear of the Year 2006 Award for the Island Pro MFS, Air Revolution 3.1 and Aruba GTX from “Outdoor” magazine. Meindl presents its shoes at the start event of the Tour de Ski in Munich. Award of the Bavarian State Medal 2006 for merit earned in the field of environmental protection and health on March 16, 2007 at “Residenz” in Munich. Training, was once again the motto for this year: Numerous specialist dealers and consultants were invited to MEINDL in Kirchanschöring, where they learnt all about the elaborate and complex business of producing shoes. Seminars were held for sports dealers where they learnt how to produce shoes of their own. Numerous Nordic Walking events were organised this year. Master trainer Anke Faller trained many end users wearing Meindl shoes. The first Meindl shops in Prague and China were opened this year, both of which proved highly successful. Meindl shoes were ranked top by leading specialist German outdoor and mountaineering magazines, such as “Bergsteiger”, Outdoor Magazine and Alpine. This year saw the establishment of the Alfons Meindl Foundation. At the beginning of the year, the foundation was recognised by the state. The purpose of the foundation is the promotion and/or support of people who suffer hardship through no fault of their own and who do not receive sufficient support from other sources such as official authorities or social aid institutions. With this foundation, Lukas and Lars Meindl are continuing their father’s work. “Jäger” magazine awards the “Golden Keiler 2008” award to the ISLAND PRO MFS in the category “stalking boots”. The editors of “”Outdoor” magazine award the Outdoor Innovations Award to the ISLAND PRO MFS, calling it “a milestone in outdoor equipment”. The Timberking model, a special model for the forestry sector, received the Forest Engineering Award. During the Outdoor trade show in Friedrichshafen, Meindl & W.L. GORE celebrate 25 years of partnership. Alfons Meindl was one of the first shoe-makers to use a GORE-TEX membrane to line a boot. During the Outdoor trade show in Friedrichshafen, a jury consisting of outdoor equipment dealers, journalists and product designers awarded Meindl the Outdoor Industry Award 2009 for the ISLAND MFS ACTIVE model. Meindl shoes and boots won awards in many national and international tests. 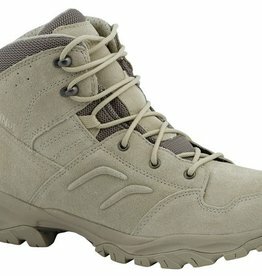 The readers of Outdoor magazine once again rate Meindl shoes as “products of the year”. The AIR REVOLUTION 3.1 took first place in the hiking boot category. First place also went to the VAKUUM GTX in the trekking boot category, and the MAGIC 5.0 XCR came third in the multifunctional category! 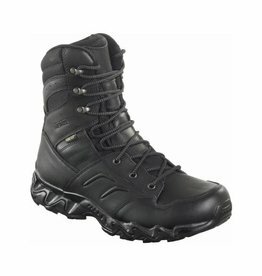 No other trekking boot has won more awards during the last 20 years than the Meindl “Island”. The newest version, the “Island Active MFS” continued this tradition. The jury of the Outdoor Magazine Awards gave the Outdoor Editors’ Choice Award to the new Island model. In October, the Outdoor magazine “Outdoor” voted the “Alpine Trek” model as test winner with the result “outstanding”. The Comfort fit range continues to grow and there are now 10 different styles of shoe and 7 styles of boots in the range. Meindl are seen as the leaders in this field. Meindl have the first boot to travel faster than the speed of sound, 767 mph. Felix Baumgartner used a pair of Meindl boots in his “Jump from Space”. He jumped from a space capsule which was at a height of 39045 meters. Extreem lichte, waterdichte lage schoen in leder. Atletisch en torsievrij, gebruiksgemak van een sportschoen. Uiterst wendbaar bij het sprinten, ook in kleine steegjes en moeilijk toegankelijke ruimtes.